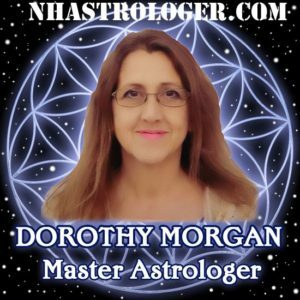 Dorothy has over 27 years’ experience consulting as well as teaching a wide variety of subjects relating to Astrology. A Destiny Reading is based on the belief is that we have all chosen our lives, chosen many of the people in our lives as well as many of the situations that come up throughout the course of our lives. We chose this because, at a soul level, we wanted to learn, to evolve and to grow. A Destiny Reading is your personal story, an opportunity to provide you with amazing insight and a greater understanding of your own spiritual growth and the choices and challenges you have set before you. A wonderful tool for self-development! An overall view of your life, your strengths and your weaknesses as well as your greatest challenges. It can assist you in understanding the true purpose of your life and what you chose to accomplish. A view of the upcoming year where we can review new opportunities and new challenges. We can explore the choices you face, address these concerns to allow you more clarity and understanding thus enabling you to make better choices as you move through the year. A relationship reading offers a great deal of insight into how you connect to others and how others relate to you. Using this system can greatly improve your understanding of your most challenging relationships and how to improve your communication skills. This is a wonderful tool for both personal and business relationships allowing you to achieve greater harmony and a more in-depth understanding of the many people in your life. Schedule your reading with Renee today and Discover your Destiny. 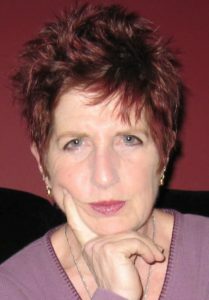 Nancy Smith is a practicing spiritual medium and energy worker in the New England area. Nancy is a spirit artist. As medium, she delivers the message of love from spirit through her artwork by drawing the likeness of the communicating spirit. Nancy is a Reiki Master and teacher, a Paco in in Andean Quechua Healing Techniques and a registerd Theta Healer. 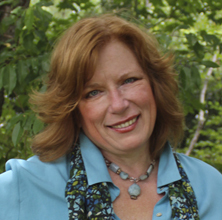 She reads for the Akashic records and teaches and Akashic Certification class in North Andover and in North Easton. This life reading is done with Angel and Tarot cards to divine what is happening in your life now and where your choices are leading you. Together, we call in the angels for their advice and guidance from your Akashic Records. This reading is good guidance for careers, relationship and decisions you need to make now. Stacylynn is a Reiki Master, a Certified Yoga Instructor and a powerful Psychic Intuitive. As an intuitive reader, Stacylynn combines her intuition with the use of Tarot cards. These cards allow her to work together with Spirit to receive messages regarding events that are going on around you, and provide insight and guidance about the most loving way for you to proceed. Stacylynn has a warm, accepting energy that will put you at ease, and a bubbly sense of humor that will keep you smiling. It is with great caring and concern that she sets the intention for each intuitive session to be a healing experience that will help you to gain perspective on your current situation and be able to move forward with renewed inspiration, clarity and confidence. Stuart connects you with your loved ones who have passed to bring forward their essence and messages they have for you. Stuart will bring forward shared memories and experiences you can enjoy and help you take that “Back to the Future” journey to when your loved ones were here. Stuart is also a “light reader” where he can read energy from you’re personal energy, your aura, and help bring forward guidance on decisions your pondering and your future. With the electric spark of the connection established to your loved ones and your own energy, Stuart will help answer questions you have, and help guide you on your journey ahead of you today! Stuart has studied under many of the gifted mediums in the New England Area for several years. He is renowned for his unique energetic readings brining in a combination of a passed loved one as a helper and to provide guidance and advice today. His readings at light, fun, and touching with that special guidance you may be seeking for your path ahead. Michelle has been reading for over 40 years. As a gifted psychic medium, a clairvoyant empath, Michelle says she was born with the veil, the gift of sight, into the house of the craft, with practice of the old ways. She has led teaching lectures to groups on the paranormal, reading auras, helping with illness and finding direction in life. Michelle is well known throughout New England and within the reader community in Salem, MA, providing readings in tarot, tea leaves, palms and mediumship. Teresa, a certified Angel Messenger Practioner, offers guidance using natural psychic and intuitive abilities. She connects with Angels and Spirit Guides to gain insight. Each card reading or intuitive reading is tailored to the client’s individual need. You will come to know, love, and accept yourself for who you truly are as you follow your personal path. Teresa has been a frequent guest on “You and Your Health”. As a Reiki Master Teacher in the Usui tradition and in the powerful Holy Fire Karuna tradition, she uses her gifts of energetic healing to bring comfort and relaxation in an empathetic way. She is a compassionate, conscious healer. To set the tone and intention, she incorporates guided meditations into her Reiki sessions. With her help, you will find your inner sacred space, bringing your body, mind and spirit into an optimal state to promote healing and relaxation. Come meet Diane of Aura Vista Healing and have your Aura Photo taken to learn more about your auric energy body. The aura is an electromagnetic energy field around each person. Auric vibrations embody radiance and sound in a variety of frequencies, which reflect your physical, mental, emotional and spiritual state. Let Diane give you an in-depth look at your auric layers and chakras as they reflect what is presently happening in your life. These photos sometimes also capture guides or angelic energies that stay close to you. 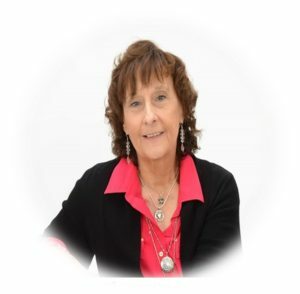 Diane is a natural clairvoyant and intuitive who has achieved master teacher level in many diverse healing methodologies, including Usui and Karuna Reiki, Seikhm, Magnified Healing and others. I am a retired primary classroom teacher with advanced degrees in education, psychology and divinity. You will leave with your photo and a 3-page explanation. 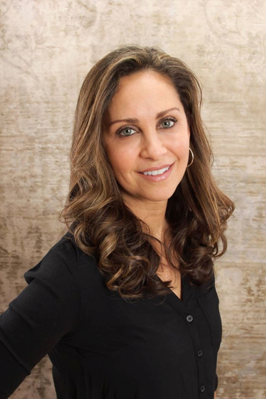 With a calm and supportive presence, Laura connects with your guides to help you become the person you are meant to be while honoring where you are today. She relies on her guides, various card decks (oracle, angel, tarot) and more as tools in her sessions. At times, appointments with Laura may include mediumship (messages from loved ones who have crossed over). Laura is a Reiki Practitioner and certified Angel Healing Practitioner©. She is co-host of the Soul Circle with Laura & Rose radio program on BlogTalkRadio. On her spiritual journey of nearly 10 years, Laura has studied with top teachers in her field across New England and the UK.